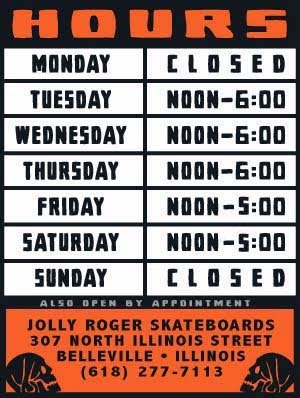 Jolly Roger Skateboards: Jolly Roger Stickers are Back in Stock Now! Jolly Roger Stickers are Back in Stock Now! 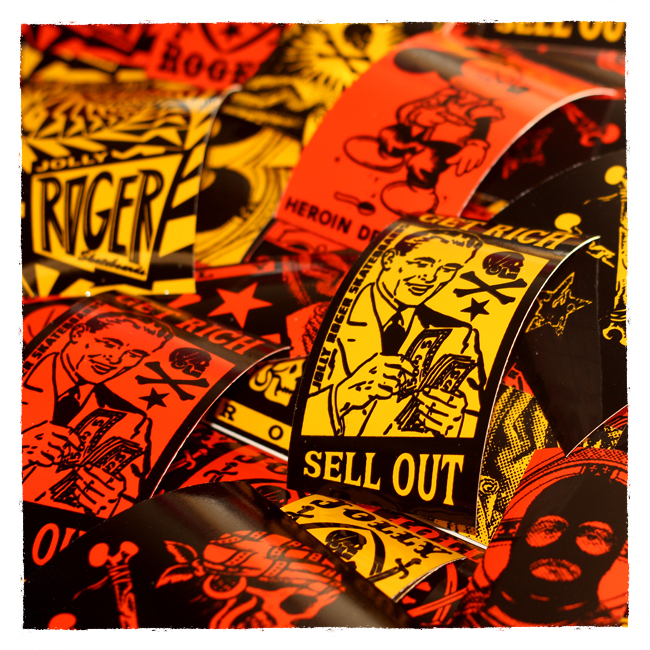 HOT OFF THE PRESS We have new screen-printed stickers online over on our ONLINE STORE. 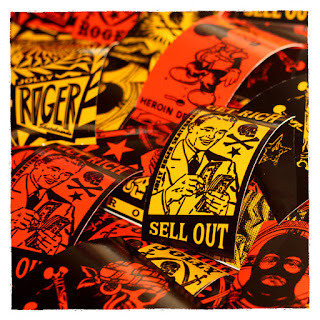 *We get asked on a regular basis whether we screen-print stickers or not. Thats a trick question because we do print stickers for ourselves but we do not offer commercial sticker printing services to the general public. The reason being is that we do everything by hand here. It may only take us a half an hour to print stickers but it will take us days to cut them out manually. Nobody in their right mind would have us print stickers for them when there are cheaper alternatives online. If you need real screen-printed stickers hit up 123stickers.com.